Coué's family, from the Brittany region of France and with origins in French nobility, had only modest means. A brilliant pupil in school, he initially intended to become an analytical chemist. However, he eventually abandoned these studies, as his father, who was a railroad worker, was in a precarious financial state. Coué then decided to become a pharmacist and graduated with a degree in pharmacology in 1876. Working as an apothecary at Troyes from 1882 to 1910, Coué quickly discovered what later came to be known as the placebo effect. He became known for reassuring his clients by praising each remedy's efficiency and leaving a small positive notice with each given medication. In 1886 and 1887 he studied with Ambroise-Auguste Liébeault and Hippolyte Bernheim, two leading exponents of hypnotism, in Nancy. In 1910, Coué sold his business and retired to Nancy, where he opened a clinic that continuously delivered some 40,000 treatment-units per annum (Baudouin, 1920, p. 14) to local, regional, and overseas patients over the next sixteen years. In 1913, Coué and his wife founded The Lorraine Society of Applied Psychology (French: La Société Lorraine de Psychologie appliquée). His book Self-Mastery Through Conscious Autosuggestion was published in England (1920) and in the United States (1922). Although Coué's teachings were, during his lifetime, more popular in Europe than in the United States, many Americans who adopted his ideas and methods, such as Maxwell Maltz, Napoleon Hill, Norman Vincent Peale, Robert H. Schuller, and W. Clement Stone, became famous in their own right by spreading his words. every way, I’m getting better and better". The application of his mantra-like conscious autosuggestion, "Every day, in every way, I'm getting better and better" (French: Tous les jours à tous points de vue je vais de mieux en mieux) is called Couéism or the Coué method. Some American newspapers quoted it differently, "Day by day, in every way, I'm getting better and better." The Coué method centered on a routine repetition of this particular expression according to a specified ritual—preferably as many as twenty times a day, and especially at the beginning and at the end of each day. When asked whether or not he thought of himself as a healer, Coué often stated that "I have never cured anyone in my life. All I do is show people how they can cure themselves." Unlike a commonly held belief that a strong conscious will constitutes the best path to success, Coué maintained that curing some of our troubles requires a change in our unconscious thought, which can be achieved only by using our imagination. Mr Coue talking from 'Self Mastery recording and reciting in French:" Tous les jours, à tous points de vue, je vais de mieux en mieux." C. Instances belonging to the active or motor domain (actions, volitions, desires, gestures, movements at the periphery or in the interior of the body, functional or organic modifications). According to Yeates (2016b, p. 42), Coué shared the theoretical position that Hudson had expressed in his Law of Psychic Phenomena (1893): namely, that our "mental organization" was such that it seemed as if we had "two minds, each endowed with separate and distinct attributes and powers; [with] each capable, under certain conditions, of independent action" (Hudson, 1893, p. 25). Further, argued Hudson (ibid., pp. 25–26), it was entirely irrelevant, for explanatory purposes, whether we actually had "two distinct minds", whether we only seemed to be "endowed with a dual mental organization", or whether we actually had "one mind [possessed of] certain attributes and powers under some conditions, and certain other attributes and powers under other conditions" . translated by his patients into their own autosuggestion. thoughts, behavior, and organic functions. which, once accepted by it, would be realized by means of its special powers. analysis of it, arguing that it was better not to know the nature of its contents. Coué noticed that in certain cases he could improve the efficacy of a given medicine by praising its effectiveness to the patient. He realized that those patients to whom he praised the medicine had a noticeable improvement when compared to patients to whom he said nothing. This began Coué's exploration of the use of hypnosis and the power of the imagination. Coué thus developed a method which relied on the principle that any idea exclusively occupying the mind turns into reality, although only to the extent that the idea is within the realm of possibility. For instance, a person without hands will not be able to make them grow back. However, if a person firmly believes that his or her asthma is disappearing, then this may actually happen, as far as the body is actually able physically to overcome or control the illness. On the other hand, thinking negatively about the illness (ex. "I am not feeling well") will encourage both mind and body to accept this thought. Likewise, when someone cannot remember a name, they will probably not be able to recall it as long as they hold onto this idea (i.e. "I can't remember") in their mind. Coué realised that it is better to focus on and imagine the desired, positive results (i.e. "I feel healthy and energetic" and "I can remember clearly"). Coué observed that the main obstacle to autosuggestion was willpower. For the method to work, the patient must refrain from making any independent judgment, meaning that he must not let his will impose its own views on positive ideas. Everything must thus be done to ensure that the positive "autosuggestive" idea is consciously accepted by the patient; otherwise, one may end up getting the opposite effect of what is desired. Coué noted that young children always applied his method perfectly, as they lacked the willpower that remained present among adults. When he instructed a child by saying "clasp your hands and you can't open them", the child would thus immediately follow. A patient's problems are likely to increase when his willpower and imagination (or mental ideas) are opposing each other, something Coué would refer to as "self-conflict". In the student's case, the will to succeed is clearly incompatible with his thought of being incapable of remembering his answers. As the conflict intensifies, so does the problem: the more the patient tries to sleep, the more he becomes awake. The more a patient tries to stop smoking, the more he smokes. The patient must thus abandon his willpower and instead put more focus on his imaginative power in order to succeed fully with his cure. "That Coué’s formula could be applied with a minimum of instruction was challenging; and the accounts of Coué’s method curing organic disease were just as threatening to the conventional medicine of the day, as they were inspiring to Coué’s devotees" (Yeates, 2016a, p. 19). "Most of us are so accustomed … to an elaborate medical ritual … in the treatment of our ills … [that] anything so simple as Coué’s autosuggestion is inclined to arouse misgivings, antagonism and a feeling of scepticism" (Duckworth 1922, pp. 3–4). According to Yeates (2016a, p. 18), although Coué never produced any empirical evidence for the efficacy of his formula and, therefore, his claims had not been scientifically evaluated, three subsequent experimental studies, conducted more than half a century later — i.e., those of Paulhus (1993) — "seem to offer some unexpected support for Coué’s claims". (1) "Healing of organic disease by 'self-mastery' was impossible! Aside from 'spontaneous remissions' of authentic disease (efficacious vis medicatrix naturæ! ), reported 'cures' were either due to mistaken diagnosis (it was never that disease! ), or mistaken prognosis (it was always going to get better!). Anyway, even if it had been diagnosed correctly, there was no compelling evidence to suggest that Coué’s approach had been in any way responsible for the cure." (2) "Even if it was true that, in some extraordinary circumstances, healing by 'self-mastery' was possible, Coué’s failure to immediately eliminate those with counterproductive limitations — such as, for example, those lacking the required dedication, mind-set, talent, diligence, persistence, patience, etc. — resulted in many (clearly unsuited) individuals mistakenly postponing (otherwise) life-saving operations and delaying (otherwise) radical medical treatment far beyond any prospect of recovery or cure." (3) "Despite the obvious fact that each 'disease' had a unique cause, a unique history, and a unique (and idiosyncratic) personal impact, Coué treated a wide range of disparate individuals in the same, single group session, in the same way; and, moreover, he treated them without any sort of detailed examination or differential diagnosis." (4) "The method’s central 'magical incantation' — a specific formula, uttered a specific number of times, in a special way, using a knotted string — aroused strong opposition, as it reeked of outmoded superstitious practices and beliefs." While most American reporters of his day seemed dazzled by Coué's accomplishments, and did not question the results attributed to his method, a handful of journalists and a few educators were skeptical. After Coué had left Boston, the Boston Herald waited six months, revisited the patients he had "cured", and found most had initially felt better but soon returned to whatever ailments they previously had. Few of the patients would criticize Coué, saying he did seem very sincere in what he tried to do, but the Herald reporter concluded that any benefit from Coué's method seemed to be temporary and might be explained by being caught up in the moment during one of Coué's events. Whilst a number of academic psychologists looked upon his work favourably, others did not. Coué was also criticized by exponents of psychoanalysis, with Otto Fenichel concluding: "A climax of dependence masked as independent power is achieved by the methods of autosuggestion where a weak and passive ego is controlled by an immense superego with magical powers. This power is, however, borrowed and even usurped". 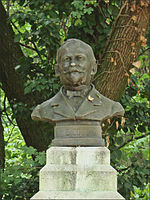 On 28 June 1936, a monument erected to the memory of Coué, funded by worldwide subscription, and featuring a bust of Coué created by French sculptor Eugène Gatelet, was dedicated in St Mary's Park, in Nancy. 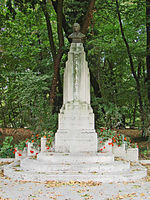 The bust was stored for safe-keeping during World War II and, post-war, was restored to its former position in 1947. 1922: In the same year as the English translation of Self-Mastery Through Conscious Autosuggestion is published, the song I'm Getting Better Every Day (words by Percy Edgar, music by Mark Strong) is released. 1923: A Swedish translation of Strong's "I'm Getting Better Every Day" is released by entertainer Ernst Rolf, Bättre och bättre dag för dag (Better and better day by day). It is still a popular refrain in Sweden almost a century later. 1923: The Coué Method is taught in Elsie Lincoln Benedict's How to Get Anything You Want to train the subconscious mind. 1924: In the Broadway musical "Sitting Pretty" (music by Jerome Kern), in the song "Tulip Time in Sing-Sing", P. G. Wodehouse's lyrics include "I'd sit discussing Coué With my old pal Bat-eared Louie". 1926: The Coué Method is mentioned in P. G. Wodehouse's short story, "Mr. Potter Takes a Rest Cure". 1928: Coué and Couéism are referred to frequently in John Galsworthy's novel The White Monkey from his Modern Comedy trilogy. Fleur Mont (née Forsyte), expecting what her husband (the tenth baronet) keeps referring to as the eleventh, repeats daily "every day in every way my baby's becoming more and more male". Other characters in the novel are also Coué followers, including, rather improbably, the strait-laced and sensible Soames (although he remains sceptical). 1930: Miss Milsome, in The Documents in the Case, written by Dorothy L. Sayers and Robert Eustace, dabbles in all sorts of self-improvement schemes, including using "In every day ..."
1946: In Josephine Tey's novel Miss Pym Disposes, the title character, herself a psychologist, refers to Coué with apparent scepticism. 1948: In Graham Greene's novel, The Heart of the Matter, the narrator dismisses the Indian fortune teller's reading of Inspector Wilson's hand: "Of course the whole thing was Couéism: if one believed in it enough, it would come true." 1969: In the film The Bed Sitting Room Room (1969), the character "Mate", played by Spike Milligan, repeatedly utters the phrase "Every day, in every way, I'm getting better and better" while delivering a pie. So Dr. Coué failed for her, as he did for many others, for which I lay no blame on him. His system was really a form of secularized, self-seeking prayer, without the human dignity that even the most modest prayer evokes. And like all attempts to command success for the chronically unsuccessful, it petered out. 1973: The leading character, Frank Spencer (played by Michael Crawford), in the BBC's situation comedy Some Mothers Do 'Ave 'Em, often recites the mantra, on occasion when trying to impress the instructor during a public relations training course. 1976: In the film The Pink Panther Strikes Again, the mentally-ill Chief Inspector Charles Dreyfus, repeatedly uses the phrase "Every day and in every way, I am getting better, and better" as directed by his psychiatrist. 1981: The protagonist in Emir Kusturica's 1981 film Do You Remember Dolly Bell? often recites the mantra as a result of studying hypnotherapy and autosuggestion. 1992: In Kerry Greenwood's novel, Death at Victoria Dock, investigative detective Phryne Fisher recites the mantra during a particularly trying case. 1998: In Nest Family Entertainment's animated children's film The Swan Princess III and the Mystery of the Enchanted Treasure, a character uses the mantra while training for a competition. 2005: In the HBO drama Six Feet Under (Season 5, episode 4), George Sibley repeats the mantra to Billy Chenowith in discussing the effectiveness of the former's treatment. 2012: In Boardwalk Empire (season 3, episode 1) the fugitive Nelson Van Alden (played by Michael Shannon), now a salesman, looks into a mirror and repeats to himself the mantra: "Every day, in every way, I am getting better and better". ^ See Yeates (2016a), (2016b), and (2016c). ^ Whiteside, T., "Better and Better", The New Yorker, (Saturday, 16 May 1953), pp.91-115. ^ Aram, G.V. (1923). Emile Coué and His Method of Healing by Conscious Auto-Suggestion: An Interview with M. Coué, in G.V., Aram, E. Towne, & W.E. Towne, The Gist of Coué: Self Healing by Auto-Suggestion Clearly and Simply Explained, (pp.3-14). Holyoke, MA: The Elizabeth Towne Co., Inc.
^ Baird, A. (1956/1923). "Bypassing the Will: Towards Demystifying the Nonconscious Control of Social Behavior", in A. Baird, I was There: St. James’s, West Malvern (pp.239-246). Worcester: Littlebury and Company Limited. ^ Baudouin, C. (1923). Emile Coué and His Life-Work. New York, NY: American Library Service. ^ Brooks, C. Harry (1922). The Practice of Autosuggestion by the Method of Émile Coué. George Allen and Unwin. ^ Duckworth, J.H. (1922). Autosuggestion and its Personal Application. New York, NY: The James A. McCann Company. ^ Kirk, Ella Boyce (1922), My Pilgrimage to Coué, American Library Service, (New York). 1922. ^ Macnaghten, H. (1922), Emile Coué: The Man and His Work. New York, NY: Dodd, Mead and Company. ^ Orton, J.L. (1935). Émile Coué: The Man and His Work. London: The Francis Mott Company. 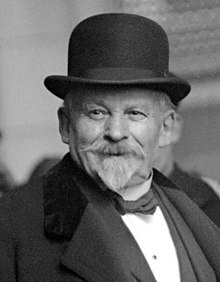 ^ a b "Émile Coué". Encyclopædia Britannica. Retrieved 24 February 2019. ^ Marguerite Marshall. "Applied Auto-Suggestion of Famous French Healer Explained." Boston Post, January 4, 1923, p. 13. ^ quoted by Frederick L. Collins, "Three Minutes With a Headliner." (Kingston Jamaica) The Gleaner, February 9, 1923, p.6. ^ "un truc ou procédé mécanique" (French for 'a trick, or mechanical process'). Note: When Coué referred to his "trick", he was speaking of the mechanism, or "the secret", that was responsible for the approach's success (as in, say, "the trick to the hook shot is …"); he was not speaking of deceiving his subject. ^ a b Baudouin, Charles (March 1922). Preface. How to Practice Suggestion and Autosuggestion. By Coué, Émile (eBook) (reissue ed.). Read Books Ltd (published 2017). ASIN B075NRH8F6. ISBN 978-1-4733-4051-0. Despite these apparent successes, many remained sceptical however. ^ Wallechinsky, David; Wallace, Irving (1975). "Émile Coué (1857–1926). French Healer". In Wallechinsky, David; Wallace, Irving (eds.). The People's Almanac. 1. Knopf Doubleday Publishing Group. p. 525. ISBN 978-0-385-04186-7. M, aged 43, Rue d'Amance, 2, Malzeville, comes at the end of 1916 for violent pains in the head from which she has suffered all her life. After a few visits they vanished completely. Two months afterward she realized that she was also cured of a prolapse of the uterus which she had not mentioned to me and of which she was not thinking when she made her autosuggestion. ^ Bronner, Milton, "What's Emile Coue's Game? Milt Bronner Sizes Up the Man", The Evening Independent, (Thursday, 18 January, 1923), p.1. ^ Bronner, Milton, "Day by Day Story of Life as Coue Patient", The Millwaukee Journal Final, (Monday, 8 January 1923), p.1; "Patient Spends First Day Getting Better and Better", (Tuesday, 9 January 1923), p.1; "Give Yourself a Chance, Coue Told his Patients", (Wednesday, 10 January 1923), p.1; "Coue made ‘em Forget their Ills, Day by Day", (Thursday, 11 January 1923), p.1; "Coue Patients Declared Treatment Helped Them", (Friday, 12 January 1923), p.1; and "Coue Seemed Sincere in Desire to Aid Man", (Saturday, 13 January 1923), p.1. ^ Stowe, L. B. 1923. The Druggist from Nancy: I. Monsieur Coué at Home. The Outlook, 133(3), 122-123. ^ "Behind Closed Doors of Coué's Famous Clinic, Showing Marvelous New Method". Boston Post. August 13, 1922. p. 41. ^ "Coué Patients Not All Helped by Treatment". Boston Herald. June 16, 1923. pp. 1, 4. ^ Downey, J.E., "Practicing Coue", (Wednesday, 20 December 1922), p.4. ^ McDougall, W. (1926). An Outline of Abnormal Psychology. London: Methuen & Co.. pp.123-124. ^ Abraham, K., "Psycho-Analytical Notes on Coué's Method of Self-Mastery", International Journal of Psychoanalysis, Vol.7, No.2, (April 1926), pp.190-213. ^ Fenichel, Otto (1946). The Psychoanalytic Theory of Neurosis. p. 564. ISBN 9781134969579. ^ Bell, K., "Europe of Today: Statue of Coue to be Unveiled", The Delmarva Star, (26 April 1936), p.36. ^ Lyrics: Beautiful Boy (Darling Boy). Abbott, E.H. 1923. The Druggist from Nancy: II. Monsieur Coué in New York. The Outlook, 133(3), 123-124. Abraham, K. (1926). Psycho-Analytical Notes on Coué's Method of Self-Mastery. International Journal of Psycho-Analysis, 7(2), 190-213. Another Gentleman with a Duster (pseud. of Henry Amos Purcell) (1923). Is Coué a Foe to Christianity? (1st ed.). New York, NY: Frederick Moore. ASIN B00085O8UK. OCLC 1455687. Book review: "Is Coué a Foe to Christianity. By Another Gentleman with a Duster. New York: Frederic Moore. pp. 321. Price $1.25 net". Boston Med Surg J. 188 (24): 957. 14 June 1923. doi:10.1056/NEJM192306141882410. Brooks, Cyrus Harry; Charles, Ernest (1923). Christianity and Autosuggestion (1st ed.). New York, NY: Dodd Mead and Company. ASIN B0006D9FD4. Google Books: London: George Allen & Unwin Ltd. Other releases at Google Books: ISBN 978-0-89540-198-4 (ID: JeLmtAEACAAJ), ISBN 978-1-4254-2167-0 (ID: 6XQqEAyXZFwC), ISBN 978-1-258-84891-0 (ID: PhntnQEACAAJ), ISBN 978-1-4940-2568-7 (ID: 4-8NngEACAAJ). Centassi, R., & Grellet, G. (1998). Coué Réhabilité: Tous les jours de mieux en mieux ['Coué Rehabilitated: Better and better every day']. Thônex (Switzerland): Vivez Soleil. Coué, E. (1912). De la suggestion et de ses applications (‘Suggestion and its Applications’), Bulletin de la Société d'Histoire Naturelle et de Palethnologie de la Haute-Marne, 2(1), pp.25-46. Coué, E. (1922a). La Maîtrise de soi-même par l'autosuggestion consciente: Autrefois de la suggestion et de ses applications. (‘Mastery of One’s Self through Conscious Autosuggestion: Formerly “Suggestion and its Applications”’) Emile Coué, (Nancy), 1922. Coué, E. (1922c). Self Mastery Through Conscious Autosuggestion. New York, NY: Malkan Publishing Company. (A partial translation of Coué (1922a) by Archibald S. Van Orden). Coué, E. (1923). My Method: Including American Impressions. Garden City, NY: Doubleday, Page & Company. Coué, E., & Orton, J.L. (1924). Conscious Auto-Suggestion. London: T. Fisher Unwin Limited. Duckworth, J.H. (1922). Autosuggestion and its Personal Application. New York, NY: The James A. McCann Company. Guillemain, H. (2010), La Méthode Coué: Histoire d'une Pratique de Guérison au XXe Siècle (‘The Coué Method: History of a Twentieth Century Healing Practice’). Paris: Seuil. Hudson, T.J., The Law of Psychic Phenomena: Systematic Study of Hypnotism, Spiritism, Mental Therapeutics, Etc., A.C. McClurg & Company, (Chicago), 1893. Huxley, J.S. (1922). M. Coué and Auto-Suggestion. The Beacon, 1(3), 192-196. Mayo, G. (1923). Coué for Children. New York, NY: Dodd, Mead and Company. Moxon, C. (1923). M. Coué's Theory and Practice of Auto-Suggestion. British Journal of Medical Psychology, 3(4), 320-326. Noble, A., Lady, of Ardkinglas, M. Coué and Auto-Suggestion. Chatham, Kent: Parrett & Neves. 1924. Orton, J.L. (1955). Hypnotism Made Practical (Tenth Edition). London: Thorsons Publishers Ltd.
Paulhus, D.L. (1993). Bypassing the Will: The Automatization of Affirmations, in D.M. Wegner & J.W. Pennebaker (Eds. ), Handbook of Mental Control (pp.573-587). Englewood Cliffs, NJ: Prentice-Hall. Rapp, D. (1987). “Better and Better—”: Couéism as a Psychological Craze of the Twenties in England. Studies in Popular Culture,10(2), 17-36. Donald Robertson, Émile Coué's Method of "Conscious Autosuggestion"